As seen in the press, capture the glow of perfect skin with this award-winning foundation. 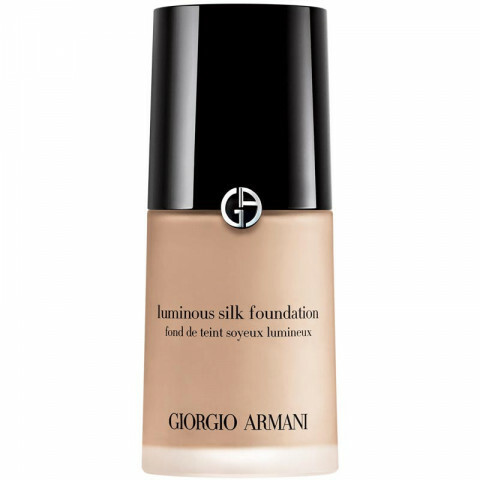 Luminous Silk foundation features an exclusive Micro-fil technology. So weightless, it redefines foundation. 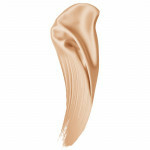 Its hydrating fluid glides on seamlessly with a silky texture and all-day, buildable coverage. For all skin types. Apply with the unique blender brush for a radiant, air-brushed finish. I have used this foundation for over a year now and it is my favorite. I love the large selection of tones to choose from. The 6.5 matches my skin so well in the winter and the 7.5 is a great match with a tan. It feels light and soft on my skin while still offering good coverage that blends well. I have had no issues with this foundation. The search for my holy grail foundation lasted for years. There was always something missing when I found one I liked. The search ended with this product. It is a medium, buildable coverage with many shade ranges. I have fair-light skin with golden undertones. Most products are too pink or too orange. This product does not oxidize and perfectly matches my skin tone. I do use a primer underneath for lasting power. I cannot speak to the longevity without it. 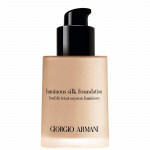 I love the finish and allows the skin to look glowy, dewy and fresh though out the day. Buildable and more coverage than expected, hid my scarring. When I hit my 40's, those dreaded lines started to show and from that point on, any foundation that i tried made me look years older. I became so self conscious that I just quit wearing it all together. A friend gave me a sample of this and said "trust me". I read the reviews but still didn't have very high hopes. So I tried it and my skin had never looked better. I instantly fell in love. It did not settle into fine lines and I did exactly what it says...it made my skin look like silk. That was over a year ago and I'm just now purchasing my second bottle. It is on the higher end of foundations and there are drug store brands that make the very same claims (I've tried those as well) but nothing looks or feels as amazing as this on my face. It is hands down worth every single dime spent. I'm always receiving compliments and my confidence has been restored. This is my holy grail and I will continue to purchase this again and again. Having medium/tan skin with heavy yellow undertones it's very difficult finding shades that work for me. I wear 7.5 when I'm tan and 6.5 when I'm not. Sometimes I mix them both. I like how this foundation doesn't emphasize texture, or fine lines. I use a beauty blender to get a sheer application. Perfect foundation to wear everyday. Gives a helthy luminous glow to the skin. Lasts all day without fading. This is literally one of the best things i have ever put on my face. It is the most incredible formula, it just glides right on to your skin. And although it is semi-sheer it is buildable which I love for areas that may need a little more coverage. Blends like a dream. Can’t say enough good things! My ultimate HG of foundations! It goes on flawlessly and the courage can be build up to a medium coverage. It gives a natural and radiant finish. 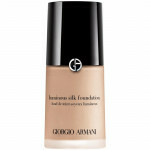 I have had NO issues with this foundation and can't say enough about how pleased I am with the product!